Amish owned and located in Lancaster PA servicing the Greater Northeastern parts of Delaware, Pennsylvania, Maryland and New Jersey! We’ll keep your area clean! We take care to treat your property as our own! We can refresh your home or make a change the entire exterior! Roofing, Siding, Windows, Decks … you name it, we can do it! Time to Redo the Deck? 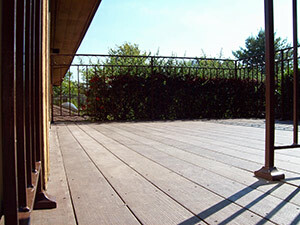 We can take care of your deck as well as your roof, siding, windows and porches! We can give your a brand new look to your home! Many colors to choose! 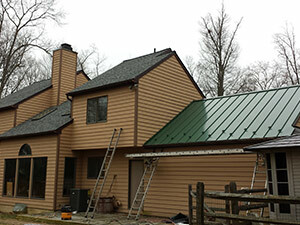 Here at Kings Roofing & Siding located in Lancaster PA, there is no job too big or too small for us to handle. If you have any roofing needs, from having a whole new roof put on, to just a simple repair to your current roof, we can meet all and any needs you have. Kings Roofing & Siding specializes in siding installation. Think of siding as the ‘clothing’ to your house but it must be water resistant as well. Just as in clothing there are many choices of colors and styles but when you choose Kings Roofing & Siding in Lancaster PA, we make sure your house is water resistant as well. Kings Roofing & Siding specializes in replacement window and doors for Lancaster PA, Chester PA, and parts of New Jersey and Maryland. We offer a variety of window and door types to make your home not only look better but protect it with the very best materials in the industry. King’s Roofing and Siding can install standard wooden decks, consult on new decking material and help create the perfect outside relaxation area at your home! Are you looking for the highlight on your home? That special “something” to make your home stand out? 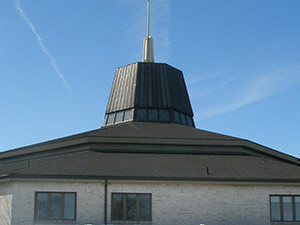 King’s Roofing and Siding can help you select the perfect cupola for your roof! King’s Roofing and Siding can install skylights as we roof your home. Let in some natural light to help cut down on lighting and bring some nature into your home! Here are some completed projects to show a range of work we can do for you! We were very pleased with the quality of work and materials for this job. And, the price was what we had talked about. They were courteous, professional and very careful while working at our property. We highly recommend their services to anyone looking to have this type of home improvement done.